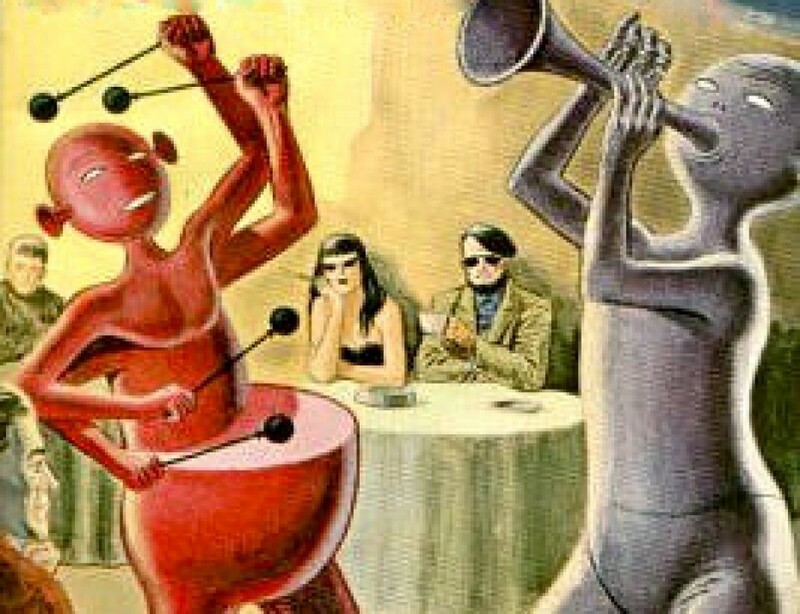 This week’s pick is total guilty-pleasure, end-of-summer stuff; I’ve always stressed that this ain’t music criticism but stuff that I love, for whatever inane reasons. 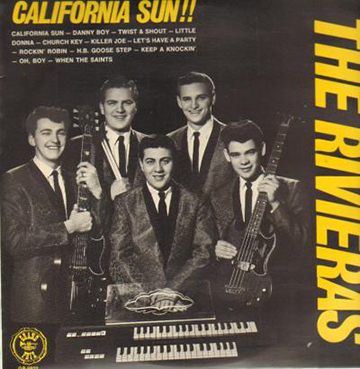 It’s the 1964 teen classic ”California Sun” by The Rivieras. The Rivieras were a band from South Bend, Indiana; totally ironic that their big hit was one of the defining songs of the frat rock/surf/hot rod movement. The band members at the time (as far as I can tell) were Marty “Bo” Fortson, vocals and rhythm guitar, Joe Pennell, lead guitar (remember when you had a “rhythm” guitarist and a “lead” guitarist? ), Otto Nuss, organ and piano, Doug Gean, bass, and Paul Denner, drums. The song was written by Henry Glover, a prolific African-American songwriter whose other big hit was ”The Peppermint Twist.” It’s probable that none of the original band members had ever seen a wave or surfed in their lives, but Hot Rods and Hot Rod culture were a thing in Indiana, so I guess they have a certain amount of street cred. And they probably contributed greatly to the sales of Farfisa organs. In 1964, even though I was still 7 years away from being able to drive, I was a total Hot Rod nut. I built model cars (anyone out there remember Bud “Kat” Anderson? ), drew ”Rat Fink” sweatshirts for the local juvenile delinquents, went to the occasional drag race at U.S. 30, and read all of the car magazines. I believe among the first 45’s I ever bought were the Beach Boys’ “Get Around,” Jan & Dean’s “Little Old Lady From Pasadena,” and this.